Cowboy caviar is packed full of fresh, colorful and flavorful ingredients that all happen to be healthy. This makes a great snack or appetizer for any party. It is quick and easy to make plus it is naturally gluten free and vegan. 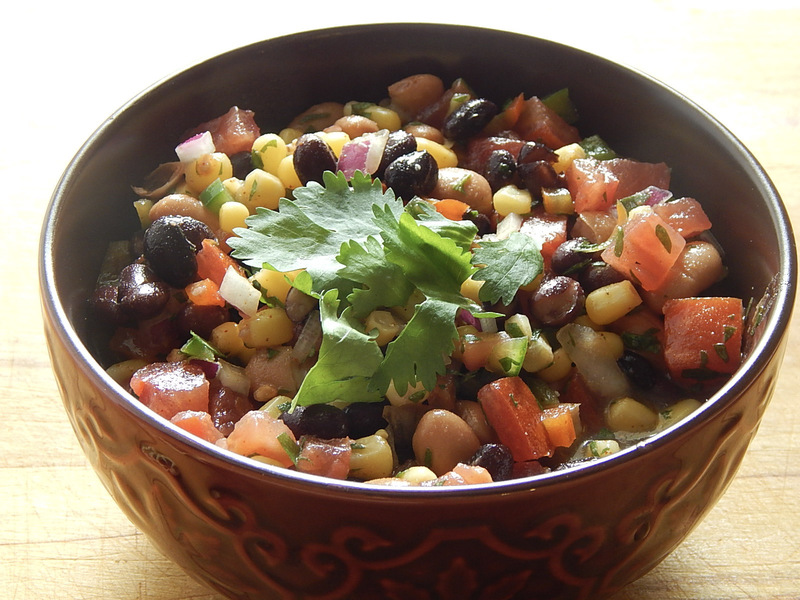 Cowboy Caviar is one of my favorite summertime party recipes. Everyone always loves it and it is really easy to make. I usually double or triple the recipe just to make sure that there are leftovers. It is always better the next day. 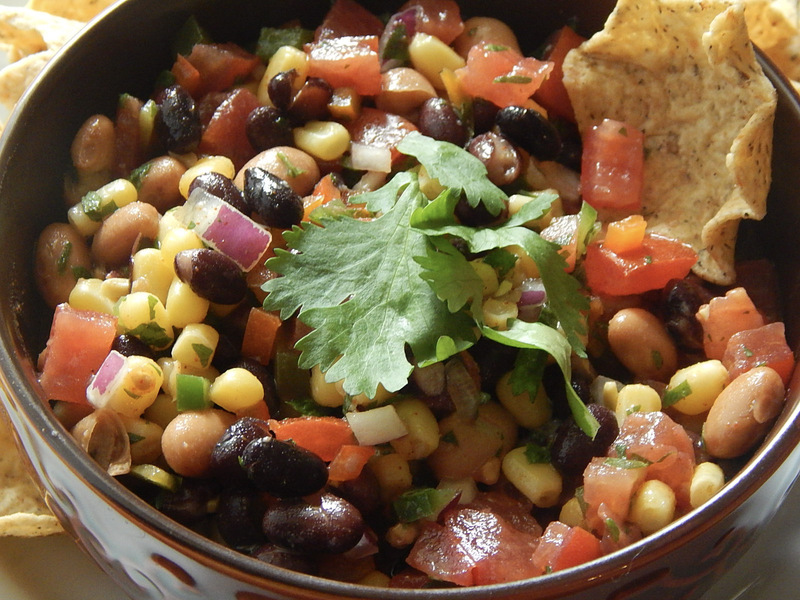 If you have never had cowboy caviar before you have definitely been missing out. I was hooked the first time I tried it. After some tweaking I have come up with the perfect combination. 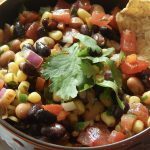 It is full of so much flavor and can be served as a snack, appetizer, salsa, or even a side dish. I sometimes even have it for a meal on its own. It all comes together very quickly. There is just a little chopping to do and then it all gets mixed up in a big bowl. You can adjust the spice level by adding more jalapeno or leave it out completely for a more mild version. To make it extra delicious add in some chopped avocado. I like to make the cowboy caviar at least a few hours ahead of time to let all of the flavors come together. If you can make it the night before its even better. 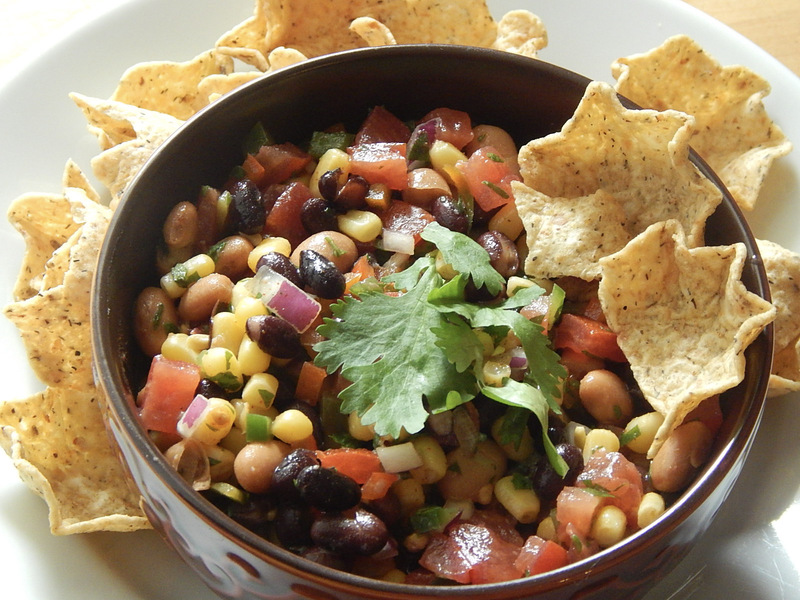 Just serve it with some tortilla chips and its ready to go. optional jalapeno finely diced use as much or as little of the jalapeno as you would like. Remove the seeds for less heat. Drain and rinse the black beans and pintos. Put them into a large bowl. Add in the diced tomatoes, corn, diced pepper, diced red onion, jalapeno if using and cilantro. Mix it all together until it is well combined. Add in the lime juice, olive oil, chili powder and salt. Mix it all again. Cover and store in the fridge until you are ready to serve it.